My inspiration when approaching the design for a space comes mainly from the relationship of the garden to its natural surroundings and to the architecture of the buildings within it. I have no particular design style, but my approach is, above all, to listen and work closely with my client, assess how the space is to be used, and to work with and not against nature. Sustainable gardening is becoming more and more important, and my gardens aim to achieve this where possible. A love of structure and form of plants, combined with a use of colour and texture, is evident in my work at all times. Following studies in Garden Design at Hadlow College, a satellite of Greenwich University, Darran Ritchie launched ‘Landscape Enterprises’, focussing on the design and build of domestic and commercial landscapes. During this time he designed and built numerous gardens, whilst also constructing landscapes for a number of office developments in the city of London. Following this, Darran spent 10 years as a Director at Charles Funke Associates, where he oversaw the design and construction of the landscapes of some of the most iconic developments within the UK and Europe, including Chiswick Park, Broadgate and Central St Giles. Drawing on the experience gained working on a broad range of diverse projects, Darran set up Floraform Ltd in 2012, combining the values of a small family business with the expertise of a large practice, for the benefit of both the domestic and commercial markets. Loknan Architectural UK is a timber screening and landscaping specialist, providing bespoke solutions for architectural landscapes and boundaries. We collaborate with landscape architects through our Six-C Process, bringing visions to reality on public, private and commercial projects. The Six-C Process is a model uniquely designed to help prevent common pain points on any outdoor project and see the project through from the conceptualisation stage through to successful completion. Landscape and garden design with a strong emphasis on contemporary, naturalistic planting style, strong plant knowledge of perennials, herbs and plants of the Mediterranean regions. Vertical greening specialist for urban gardens. Alternative takes on commercial projects. Sustainability and resilience is at the heart of every design. Every garden starts as a dream but making that dream reality needs the help of an expert with considerable experience. That is where I come in. I bring great enthusiasm and a love of gardens to all my projects; I have designed many gardens in styles and sizes to suit my clients. Projects range from a very large garden landscape, design and restoration project in Tuscany to modern “pocket sized” but much loved gardens nearer home. Whatever the project, the service and relationship are personal. Together we explore your dream and create a practical concept. How do you want your garden to be? : A place of leisure for kids to play; a spot for enjoying the sun; somewhere to attract wildlife; to hear the sound of running water; a garden to enable those with special needs to enjoy their gardening dreams; a truly sustainable garden; some or all of these dream features? I recommend, and we decide, on plants and features. Planting suggestions are illustrated with pictures and details on flowering time, pruning, size and special characteristics. Many clients asked me to design and create garden features for them. These have included sculptures, water features, wrought iron work, gates and fences. One of my creations was chosen recently by Bracknell Forest Council as a token of friendship for its German twin town of Leverkusen. Most clients dream of a new garden but existing gardens can be adapted or redesigned. Gardens can be designed to be implemented in stages as time and circumstances allow. Because many clients lead very busy lives, I offer a project management service and can source plants and special features. After the project is completed I offer follow-up garden ‘health checks’. . I have given advice on BBC Radio on garden design and gardening problems, including dealing with climate change. I tutored young designers who have built their own successful businesses – one in the USA. A graduate of Vienna University, I studied garden and landscape design and design for special needs at Reading University. I have since designed many gardens ranging from modern town house gardens to major design and landscaping projects. My philosophy is that the dream is yours – I am here to turn it into a reality. I will work with you to make it come true – a garden that will give you pleasure now and into the future. Based in Hampshire and covering the South West, no matter how large or small the project, we pride ourselves on paying attention to detail. The Design Scapes team go out of their way to deliver outstanding garden design, construction maintenance and service to all of our customers. With over 15 years experience, our team are fully qualified with tickets applying to chain saw operation and spray control (weed killer), along with many other specialist areas. We aim to help you bring your dream garden to reality. Garden design and build, specialists in water gardens, natural stonework and working with sloping plots. 9 times award winning design and construction at Hampton Court Flower Show. Friendly family business with personal service and emphasis on quality workmanship. 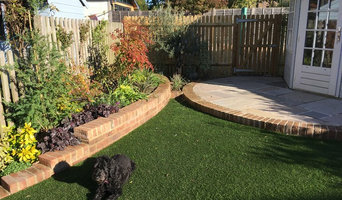 Duncan Zacks Garden Design offers a professional garden and landscape design service that is based in Ascot and operates in the Thames Valley region and throughout the south of England. The garden design service ranges from small projects such as re-designing beds or borders, through to large country estate planning, in addition to planting and maintenance services. "My aim is to not only create a garden that is aesthetically pleasing and within a set budget, but to create planting schemes that challenge the senses, and outdoor areas that welcome you in. I firmly believe that a garden is not just for looking at, to be sucessful it must open itself up to be enjoyed by people through touch, sight and smell, and always be exciting no matter what month or season." Paul Slater Designer Landscapes offers a multi-skilled Landscaping service and Garden Design Consultancy service across Hampshire and West Sussex. Established in 2007, we have transformed hundreds of gardens from small courtyard gardens to grounds covering several acres - every one unique and every one designed to sit comfortably in its surroundings and meet the clients’ individual needs. We take pride in every project and this is reflected in the number of new contracts received based on the recommendations of previous clients. As a member of the prestigious Association of Professional Landscapers (APL) you can be assured the best quality work at all times. Paul Slater Designer Landscapes is a small company and it will stay that way, this enables us to focus on each garden individually, providing a consistent professional and personal service. Taylor Tripp specialise in landscape design and management for the owners of private residential country properties thoughout the United Kingdom. We adopt a classical approach and style to landscape design. 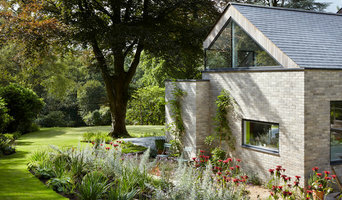 Projects range in size and complexity from small country gardens to much larger landscapes. We regard every project we are entrusted with as unique, and value long term relationships with our clients. The results are harmonious gardens with atmosphere and a strong sense of place that express the personality and aspirations of the client. Indigo Landscape Architects are an independent, award- winning, design-led landscape consultancy providing planning, design and management expertise for all aspects of the external environment. Based in Salisbury, Wiltshire, the practice was established by directors Chris Bottle and Mark Gibbins in March 2000 and employs five qualified landscape architects, one qualified urban designer and additional support staff. 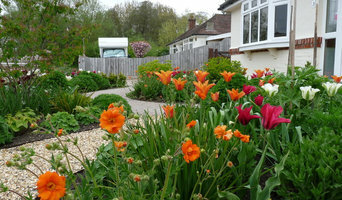 Surrey and Hampshire award winning garden design. Graduate Landscapes has over 20 years of experience in garden design, designing some of the most beautiful gardens in Surrey. We also have our own highly experienced in house garden construction and garden maintenance team. 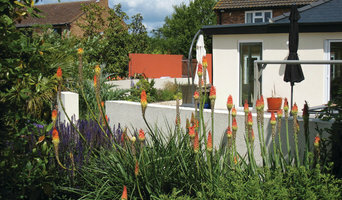 Graduate Landscapes offers a highly creative, personal and unique garden design service in the South East of England. Whether it be contemporary town garden design or expert country garden maintenance. 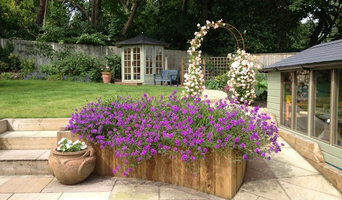 We provide original, bespoke and elegant garden designs, combined with exacting construction and glorious planting. Our garden design team are always pleased to discuss your needs and work closely with you to ensure your garden is finished to the highest of standards and uniquely encompasses all your desires. From our Surrey and Hampshire bases, we provide garden services that include lighting and irrigation systems, garden maintenance, tree surgery and swimming pool design and construction.